I was catching up with an ex-graduate student at Café Borrone, my favorite coffee place in Menlo Park. This was the second of three “office hours” I was holding that morning for ex students. He and his co-founder were both PhD’s in applied math who believe they can make some serious inroads on next generation search. Over coffee he said, “I need some cheering up. I think my startup is going to fail even before I get funded.” Now he had my attention. I thought his technology was was potentially a killer app. I put down my coffee and listened. These guys had spent 4 months writing a 60-page plan with 12 pages of spreadsheets. They collected information that justified their assumptions about the problem, opportunity, market size, their solution and competitors and their team, They rolled up a 5-year sales forecast with assumptions about their revenue model, pricing, sales, marketing, customer acquisition cost, etc. Then they had a five-year P&L statement, balance sheet, cash flow and cap table. It was an exquisitely crafted plan. Finally, they took the plan and boiled it down to 15 of the prettiest slides you ever saw. The problem was that two weeks after they got out of the building talking to potential customers and users, they realized that at least 1/2 of their key assumptions in their wonderfully well crafted plan were wrong. As I listened, I thought about the other startup I had met an hour earlier. They also had been hard at work for the last 3½ months. But they spent their time differently. Instead of writing a full-fledged business plan, they had focused on building and testing a business model. A business model describes how your company creates, delivers and captures value. It’s best understood as a diagram that shows all the flows between the different parts of your company. 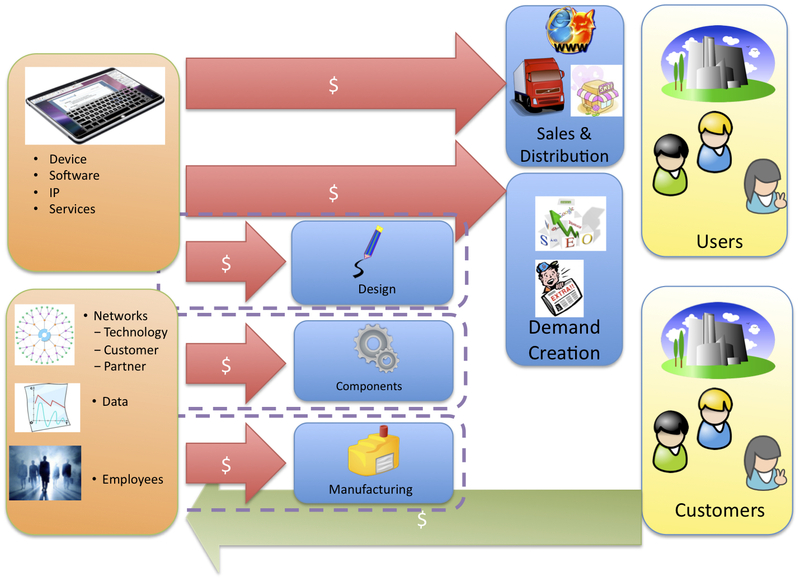 This includes how the product gets distributed to your customers and how money flows back into your company. And it shows your company’s cost structures, how each department interacts with the others and where your company can work with other companies or partners to implement your business. This team had spent their first two weeks laying out their hypotheses about sales, marketing, pricing, solution, competitors, etc. and put in their first-pass financial assumptions. It took just five PowerPoint slides to capture their assumptions and top line financials. This team didn’t spend a lot of time justifying their assumptions because they knew facts would change their assumptions. Instead of writing a formal business plan they took their business model and got out of the building to gather feedback on their critical hypotheses (revenue model, pricing, sales, marketing, customer acquisition cost, etc.) They even mocked up their application and tested landing pages, keywords, customer acquisition cost and other critical assumptions. After three months they felt they had enough preliminary customer and user data to go back and write a PowerPoint presentation that summarized their findings. This team had wanted to have coffee to chat about which of the four seed round offers they had received they should accept. Entrepreneurs treat a business plan, once written as a final collection of facts. Once completed you don’t often hear about people rewriting their plan. Instead it is treated as the culmination of everything they know and believe. It’s static. In contrast, a business model is designed to be rapidly changed to reflect what you find outside the building in talking to customers. It’s dynamic. There are no facts inside your building, so get outside and get some. Draw and test the Business Model first, the Business Plan then follows. Excellent post, this is very similar to the saying in fighting circles. “All your planning and training goes out the window when your opponent punches you in the face”. Things that were obvious to me, are not always obvious to my customers. I spend 2 Months on creating an elaborated business plan myself. What I learned in university was simple: There is no possibility for me to start a successful business without a flawless plan. It took me 2 months to discover that all my fundamental assumptions were made out of thin air. I stopped wasting my time on sales projections and SWOT analysis, and focused on creating a service I would want to use myself. As for my success, the jury is still out on that one. We will see what happens in the next few months, but I feel I made the right decision. I personally didnt quite think that a business plan was all that was required, but i didnt know what it was. As a result, i followed the rest ot the team to do what we considered needful- writing a flawless business plan and getting ready to start up, until that awkward moment when a highly interested investor asked us “where is your business model”. Truer words have never been spoken. A startup changes more times than I can count. I look at business plans as a “living document” once written things can be adjusted to compensate for real world data. Until you ask your customer to buy, you just don’t know what the sales figures are going to be like. I believe in testing the market before writing the plan. Much more productive……unless you like wasting valuable time! Helping experts create products to sell to the masses. Great post, Steve. Couldn’t agree more. As I’ve often said to the social entrepreneurs we work with, I see a lot of amazing business plans, and very few amazing businesses that come out of them. And that a plan, ideally, should be a ‘living’ document that is revisited + updated + reflected on and so forth. But ultimately, all entrepreneurs learn by doing…and you can’t do that in front of a computer screen. Another great post. I’ve read 4 steps and all who wander cover to cover multiple times. These concepts and principles apply to both bricks and mortars and e-commerce. A little bit about myself. I co-founded the 3rd largest biopharmaceutical company called Celltrion, which I successfully listed on the KOSDAQ for a market cap of $1.8 billion. Celltrion is a third party contract manufacturer of biopharmaceuticals (eg Rituxan, Orencia, etc). While constructing the $150MM manufacturing facility, we built it to specification for our future client – Bristol Myers Squibb. This essentially validated the customer need and eventually wound up with a $500 million dollar contract. After Celltrion, I started a new company – goBalto, an online platform which helps drug trial sponsors quickly identify and enroll clinical investigators. Ironically while building the platform, I forgot all of my past experiences in customer development and built a solution the customer didn’t want. Luckily, due to my previous financial success, the story didn’t end there. I had the chance to have a second go around. It was shortly thereafter I discovered “4 Steps to Epiphany” and am now on a solid path to customer validation and a viable business model. I think the business plan is a good guiding document for internal use only. I have found an Investor FAQ to be more helpful when conveying the biz plan to investors. However, I’m more inclined to go with the recommendations in this posting and 37signals in their books “Rework” and “Getting Real”, where they plan up to 2 and maybe 4 weeks. To be truthful, real entrepreneurs don’t write business plans, at least not until they need funding. True entrepreneurs don’t have the time or resources for such nonsense, they’re way too busy making things happen. For some reason, business plans have been way oversold for years, both in business schools and in practice. Simply put, they are incredibly overated. Developing a realistic and workable business model is far superior to the benefits that any business plan can produce at any given point in time. BPlans do have value but it’s minimal, and they are static where the model is living and responsive to the marketplace at all times. 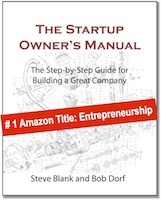 Entrepreneurs in general, are not traditionalists nor are they conventional by nature. Other than themselves and those they collaborate with, they have limited resources and usually bootstrap their way to first customer, first product and so on. In other words, they make the most of their circumstances. So what’s the point? Business models are created from the get go and are modified according to the conditions of the marketplace as needed, and serve the entrepreneur as a compass does an explorer or adventurer. Business plans on the other hand are more for lenders and investors who are, at the most, money managers and research specialists, not entrepreneurs. Entrepreneurs are opportunity driven where managers are resource dependent. If you like writing plans, consider a career in management. If you prefer opportunity, create a model. The two are like night and day. My advice to would-be entrepreneurs: drop your pens and pencils, put your notebooks and paperclips back in the draw, vacate the building and hit the street and talk with as many people as you can. Don’t waste your time writing business documents for people you don’t know or may never need. Great post. Timely for me…trying to decide whether to raise money or sell software, and I think I can sell software. What nonsense. A plan can have contingencies, and can be changed. Your model is your underlying assumptions, and garbage in equals garbage out. See, it’s easy to just change the words around, and it makes just as much sense. If no plan survives contact with customers, that’s a good thing. That means you can change your plan. But you can’t change your model. So if your model is at all inaccurate, or fails to take into account some unknown variable, it doesn’t matter how many plans you replace, your model will always fail. Or are you saying that there’s one true model, and if I pay you $X you will reveal it to me? The essence of any startup has to be what need in the target market does your startup intend to address and how will this be accomplished. I think labels about plans and models get in the way of the core issue. The lesson of the ex-graduate student and his startup is that the prospective entrepreneur misjudged the needs of his target customer. No need to diagram it in a flow chart. Agree with your point about field testing and research. As Winston Churchill is credited with saying, “The plan is nothing; planning is everything.” I think planning saves a lot of time and money but it does not have to be put in perfect prose to be effective. The reason some people say real entrepreneurs don’t use a business plan is because they have a plan, just not in writing. Like they say – test, test & test again is the mantra if at all there is one. But how does one know how mush testing is enough? Is just asking a few “target customers” a few pointed questions about pricing and sales/marketing operations , enough? How can one test something like a consumer retail service? It isn’t like you can build a trial version and then tweak it…it might be disastrous for the business. I think this post deserves at least two more deep-dive posts on how to go about testing your business model , how to draw the right conclusions and how to then modify the business model accordingly . I am sure everyone will agree. How much testing is enough? Good question. It deserves more than a deep dive post, it deserves its own book. Oh wait a minute I wrote one. Testing is the essence of entrepreneurship. It answers the question of viability – should I proceed? 1. Who is the customer? 2. What are the benefits the customer will pay for? 3. What are the channels of distribution? Of course, there can be more questions but these are the most important three during the development stage of any business. Once answered, the entrepreneur has a basic concept that can be tested for viability which then must be subjected to an analysis of the various risk factors that impact all businesses – emerging markets, industry status, marketing, competition, finance, etc. And, more importantly, for yourself as a potential entrepreneur, you need to ask a lot of Whys? Why this business vs. another? Why this industry vs. another? Why now? Why this product or service? And, so on. In the end, successful business models result from effectively interpreting the answers that the entrepreneur has received from the marketplace (market driven) and their assessment of the risk factors that relate to the particular opportunity. Following this process creates an opportuntiy for the entrepreneur to develop a business model that is built from the bottom-up, one that is customer (market) sensitive and driven. Moreover, it establishes a process whereby the entrepreneur can avoid the pitfalls and dangers of subjective decision making that so often results in underperformance or eventual failure. 1. Never fall in love with your idea or business – it clouds judgement and leads to ineffective decision making. 2. Avoid perfectionism – it doesn’t exist. There is no perfect moment, product, service or opportunity. Get busy, stay busy and do the best you can to make your idea work. 3. Never, never take your eye off the customer. The three most important keys to sucess as an entrepreneur are – customer, customers and more customers! 4. Don’t waste time looking for the “right” answer as there are often many answers that can work to solve the problem at hand. And, what solves today’s problem may not solve tomorrows. 5.. Value advice from friends and family but always get a “professional” second opinion. Always! Sooner vs. later, later always cost more. 6. Anticipate change, prepare for change, welcome change and understand that change is the entrepreneur’s greatest ally. Great post. Most of the time there is too much focus on a business plan. You also have to have a test market and that will help you to focus your idea and roll out a more dynamic product line. Thanks for clarifying the 2 differences. Bang on Target!! You are SO right. Knew some folks who went the business plan way & got into trouble. In my view, the model is part of the plan. The importance of starting a plan with the model is the design attitude that one gains with the “modelling” exercise. Visualisation, prototyping, iteration: it is easier done at model level than at plan level. This is something I see so many students and early-entrepreneurs lose focus on: The model. And the model changes as well, but certainly seems worth spending more time and effort on than a paper filled with guesses. For many entrepreneurs it’s a chicken and egg question. If entrepreneurs have a great idea, but no funding, they need to put the plan together to convery the concept over to investors. As I found out, even my friends and family wanted to know what the plan was before commiting any support, albeit, my first plan was more a hybrid paln/model. It didn’t go much into the marketing aspect as much as the whole problem/solution and the value proposition to what would be the customers. Now it’s time for phase two, and a ‘real’ business plan is crucial to getting the funding we need. Hallelujah. This will be required reading for all my students and for any entrepreneur who wants me to “lookat” her plan. Focusing on the model also greatly facilitates crafting a pitch. Many thanks to you and to Guy Kawasaki for tipping this. Again, hallelujah. Could not agree more! Even better – if you can actually engage and acquire a beta customer in the process you’ll go even further to learning and refining. Its ok if it took them 3.5 months to learn a valuable lesson. Some people spend 2 years learning this at an MBA program and even they don’t have it figured out. But I really like your thoughts on this subject. I get the sense that business plans are being put back-burner more often these days. But it seem like they did too much research. Sometimes you when you create something or get an idea, test it with customers, your advisory board (your friends, colleagues, mentors, etc) and see if it sticks. If it has some legs move onto the next phase. You just have to get your hands dirty. Steve, this is a great post. I think that plans that have branches and sequels (as opposed to simple plans that are just one stream of sequels) are actually dynamic and can be usefully updated in parallel with the evoliution of the business model. 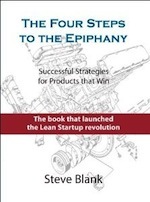 Adapting von Moltke’s observation that “No battle plan ever survives contact with the enemy” for a startup you might say that no startup’s product or operating plan survives contact with the market, either in the form of customers or competition. I do think bootstrappers might benefit from a custom method for planning. It would seem to make sense for them to plan faster and more frequently albeit with much, much less depth than one finds in plan for investors. Think of it as a journaling exercise that looks forward to set key dates, continually reshape key estimates and tag newly identified opportunities for quick investigation or prototyping. It might also provide an easy way to consciously prioritize competing opportunities, etc. Such a plan could be something knocked out in no more than an hour on a weekly basis, and it might actually benefit from a dedicated template, provided, of course, that the entrepreneur is thoughtful in preparation. It would also serve as a journal of where the startup has been and what ground has been covered. But I didn’t capture the business model piece that you have highlighted here and I think you end up with three parallel sets of activities in a startup. Business plans get beat up a lot, but there is still significant value in using the business plan as a *framework* for organizing your thoughts, strategies and tactics around a contemplated new business (as you mention). Each section can be compartmentalized, and each has value alone and when integrated into the whole. For example, working through the Competition section of a bplan– i.e. really digging in and analyzing who the players are, who’s doing what, and where they are strong and weak– is often incredibly illuminating, and can occasionally turn up some attractive new angles or opportunities. Similarly, putting together a Hiring Plan forces you to examine your own strengths as well as the gaps on the team, which in turn lets you start scouting for talent in advance (vs. hiring a weaker candidate because you “needed them yesterday”). Having said that, I completely agree with the general sentiment that the market & customer section of a business plan is the most error-prone, especially if created in a vacuum. Yet there is still value in taking the time, upfront and in advance, to define, research, and understand “who’ your customers are before getting out and testing your business model with them. Otherwise, everyone tends to look like a customer, and you’re led down a never ending series of rabbit holes. One other take-away: Developing a plan as a first step toward exploring the feasibility of the business can a lot cheaper than just jumping straight into the business and figuring it out by trial and error. This is particularly true if there are real costs involved in starting the business– for example, I worked with an entrepreneur in the BIPV solar space on a bplan a few years ago. As part of developing the plan, we met with suppliers, equipment vendors, and yes– even customers. By the time we were done with the plan (and model) he abandoned the concept, as the economics were abysmal (high capex, long A/R cycles, etc.). The time and $$ he spent on this ‘academic exercise’ were a lot less than what he would have incurred if he’d jumped straight into the market. Making Marketing Happen How Great Companies Make Strategic Planning Work For Them’Making Marketing Happen’ is prompted by needs of practising managers who have found the traditional marketing planning texts to be ‘fine in theory, but hard to apply to my special market’. In short, it holds that marketing planning fails for most …. Excellent piece. The concept of continuous discovery is something that have preached for years. It is often quite easy to forget that all businesses are built upon a foundation of facts (market size, economic factors,…) and assumptions (buying preferences, pricing structure, …) any of which can shift and change. Steve, I listen to a lot of pitches for investment, and I’m amazed at how few of these pitches talk about the business model. After a minute telling me WHAT your new venture is about, I want to know about the business model. How are you going to turn this idea into revenue and profits. Thanks for the post. These two presentations are how I suggest entrepreneurs present to potential investors. Take a look at this post and this one and see if the WHAT is explained. Here is a good resource for business model design. Fostering entrepreneurship is the hottest topic that is circulating in almost every single university of Pakistan right now. No doubt that this is a good sign towards building next greatest generation of the country. This would be the kind of generation that will change the world around us. All of it sounds so good so far. But this generation is guided in a way that is an extreme disaster, and this sounds extremely negative. So what exactly is this next generation guided towards? Make some cool business plans on paper, get some decent amount in terms of prizes and then trash those business plans to make a new business plan in order to participate in YLES or INVENT. I disagree on certain points that I must publicly express before a generation of “WANNA BE ENTREPRENEURS” start dominating the world. Many of you would definitely argue that we have to plan things first. Make some nice projections for the next 5 years which include expected operating cost, revenues, net income, human resources and every nice spice that you can add up to the business plan. But all of this is nothing more than a piece of trash, and why all this pretty impressive planning is trash? We have been told that planning is the first step towards building something and without planning we can not move forward, planning is an integral part of any organization. All of this is just a theoretical teaching that is being propagated in an average BBA/MBA class. These theories has nothing to do with the startup/entrepreneurship world in reality. Here I don’t completely disagree that planning must not be done before executing any visions. Yes we do have to plan things, but we can’t let the plan move us. The business plans presented at YLES/INVENT/P&G events are just plans since they explicitly mention that “Take part in the most exciting BUSINESS PLAN competition and then trash those plans in the nearest bins”. After planning comes those real world scenarios that these competitions guarantees to replicate/generate. Wait for a second ! What? Real world scenarios being replicated/generated? Yes they do replicate real world scenarios but not the real world business scenarios. What exactly is the difference between real world scenarios and real world entrepreneurship scenarios? 1. A real world scenario is replicated at YLES/ INVENT/P&G BPlan Competition while a real world business scenario can only be experienced at real business. 2. A BPlan Competition means that you have to show your revenues and net income with a decent idea on a piece of paper while a Real World Businesshas to generate real revenues and real profits with changing strategies as per needed. 3. A BPlan scenario means that you write good plans then you get some insight on those plans from your teachers. You will be graded on those plans then you will move to next level and then HURRAH you did something marvellous. Now you must be a proud son/daughter since you have won YLES or INVENT or P&G BPlan Competition. A real business on the other hand means you have to work for 18 hours daily. You have to listen some good and some extremely awful feedback from customers. You have to operate under your limited resources. You have to run your business while forgetting your family, personal desires, fun, party etc. Above all you have to provide the best service/product to your customer. The customer in the real business is your main focus since you give something to your customer that is valuable. In the end your business grows, you get more customers, you create more jobs, you make a social impact and eventually you will change the world. 1. I don’t know what was the exact budget of INVENT this year but let’s suppose it was 10 Million pkr (mentioned INVENT specifically because I am a CS student at IBA). From that amount we could have established 15 businesses right away by giving just 500K as the seed amount to startups in every possible domain. We can modify above calculations as per the budget. 2. Since CED @ IBA (Center for Entrepreneurial Development) is really active. I would suggest them to follow the model of international incubators, angel investors and VCs. They should consider small businesses with average ideas and two founders at least and seed them with 500K so that they can take their startups off the ground. This is equally applicable for every other department like CED at any university. 3. Suppose in a very worst situation the startup fails, then there is nothing wrong with that since failure leads to success and failure is the best teacher. A paper based plan can’t teach you the real experience but a real failure can teach you the real business. According to Thomas Edison if he failed thousand times he would have never said that he failed thousand times but he would have said that he had discovered 1000 ways that can cause failure or thousand ways that don’t work. 4. An entrepreneur is a person who is involved in building a startup from scratch. A startup in turn is a very disruptive/uncertain group of people who aim to change the world through their remarkable vision. There isn’t a single thing that can be predicted in the startup’s world. Everything is uncertain. So writing business plans on paper and getting graded on them won’t effect even a fractional percentage of the society. We have to impact the society through real businesses and we have to heal our economy. 5. We gain nothing by giving big prizes to paper based businesses since those winners end up doing a white collar job somewhere. Startup/Entrepreneurship is all about taking bold risks and changing the world by your vision and solving society’s biggest problems/challenges. You have to involve the students in taking real world risks not just writing some executive summaries and dumb stuff on paper. “The important thing is not being afraid to take a chance. Much of the problem with business plans is their format. Being a standard page document, they force the entrepreneur to write a linear, one-way story with one conclusion. The truth is the real world is much more like a choose-your-own-adventure, where you can have different ending, depending on incremental decisions that are made, timing and accuracy in execution. We help customers write business plans, but tell them the moment they are written, they have a shelf life of less than 3 months. Especially in the tech space, change is so rapid that many assumptions made today are false tomorrow. 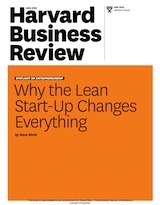 The Lean Startup teaches us that more than planning, we need learning. We have to make mistakes, and make mistakes at the lowest cost possible so we still have cash left to pivot. Are you people delirious or just fooling yourselves? Without a business plan, most are planning to fail. Granted no one wants to see a 60 page plan and no one ever said that the initial plan will stay the course. A good entrepreneur will develop a 3-6 page plan that will focus on what his/her product or service is, who is going to buy it and why and where those people are located. It is an exercise that helps people discover things about their business or about entrepreneurship in general that they never thought of. Part of the purpose of the plan is to keep the entrepreneur from steering off course on whims and to use a performance measurement tool. The plan of course will change as the market and economy changes. The business plan isn’t just a map with arrows but it can include this if one wishes it to to provide a better visual of his/her company. As an entrepreneur for a long time, I would suggest that Steve do some research on the survival rates of businesses that start with a written plan vs. those who do not. And I would disagree that no plan survives first contact with customers. If you do the right research and seek the right help (which doesn’t need to cost anything), it will. The person who does not have a plan will not survive cause they will never know what customer they are trying to attract and slowly but surely will fold. This is entrepreneurship 101. In my opinion, a business model without a business plan wouldn’t be successful, and a business plan without a business model wouldn’t either. Both are enriched and strengthened together. It’s the entrepreneur who defines the dynamics of both. Successes.